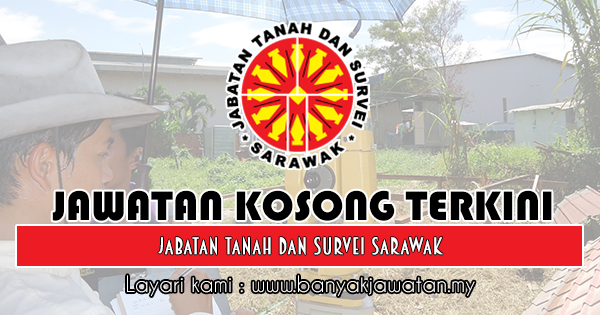 The Department of Lands and Surveys Sarawak was set up in 1918 and entrusted with the role to administer land and carry out cadastral surveys. It was a dounting task then, primarily due to the shortage of trained staff and the availability of proper survey equipment. The Department was subsequently split into two, namely Survey and Land Department in 1925. The Survey Department was responsible for laying the foundation of an accurate cadastral survey system. In 1931, the Department's strength was boosted with the arrival of surveyors from United Kingdom and New Zealand. The Land Department, meanwhile, concentrated largely on land registration, guided by the Land Ordinance that was introduced in 1932. In 1933, the two Departments were again merged into a single entity and has since been known as the Department of Lands and Surveys Sarawak. 2 Responses to "Jawatan Kosong di Jabatan Tanah dan Survei Sarawak - 24 Ogos 2018"